As I write, this storm is very active over south Bengal where there is continuous but moderate rain, in Kalimpong we have thundershowers. The thunderstorm continued well into the night; rainfall data is given below. 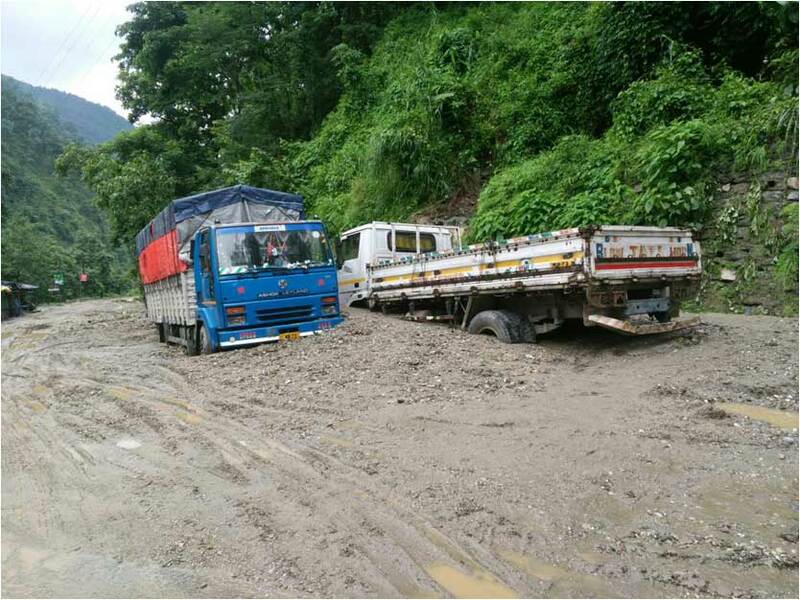 One person died in a fatal landslide at Samrik Paani, Pokhriabong, Darjeeling last night and NH10 which is an arterial highway linking Siliguri with Gangtok was blocked at Likhu Bhir (see below) and 10 other places. 21Aug2016 started off as a hot sunny day. It clouded up in the afternoon and in Kalimpong it rained from approx 1530h till about 2130h.